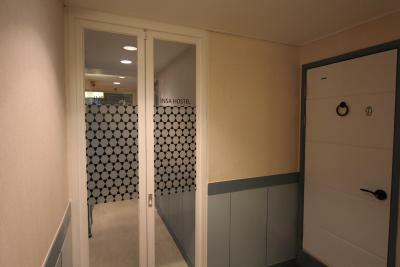 Lock in a great price for Insadong Hostel - rated 8.9 by recent guests. The hostel is in an AMAZING location. Literally in the heart of Insadong which is a cute, hip area with lots of restaurants and shops. The two main palaces (if you like visiting palaces) are located a short walk away, so is Bukchon Hanok village. The breakfast provided was more than plenty and there was a variety of items to choose from. Staff was always cheerful and very helpful as well. I highly recommend this place! Location and breakfast is the best! 👍 I will recommend this to others. Good location! The host was very helpful and gave me excellent tips! Great location, close to the palace and other attractions. Nice breakfast. It located in the middle of town, so it was really comfortable to use transportation and travel! My room was quite small but it’s cheap and included nice breakfast. I will stay here again if I come back to Korea. Thanks. Breakfast selection is good for a hostel. Very close to the subway station, at the very central -- near Insadong, Palaces. Lots of restaurants nearby as well. Insadong Hostel is situated along the traditional Insadong Culture Street, among plethora of craft shops, souvenir shops, art galleries, cafés, tea house and local restaurants serving authentic Korean dishes. Guests enjoy free WiFi access and have access to the living room, dining area and computer room. Luggage storage, laundry and ironing services are available and a simple breakfast is served daily. 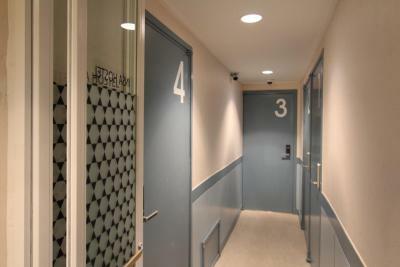 Private and dormitory rooms are equipped with air conditioning and heating systems. Bathrooms and toilets are shared for dormitory-style rooms. The hostel is a 2-minute walk from Exit 6 of Anguk Subway Station (Line 3), which offers easy access around Seoul. 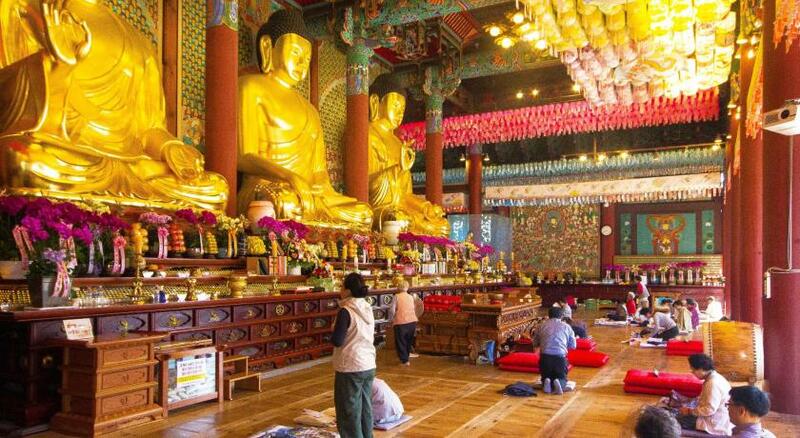 The historic Gyeongbokgung and Changdeokgung palaces are each within a 15-minute walk while the famous Myeongdong shopping area is a 20-minute walk away. The lively Namdaemun Market and Dongdaemun Market are each within a 10-minute taxi ride from the hostel. Insadong Hostel has been welcoming Booking.com guests since 30 Aug 2013. When would you like to stay at Insadong Hostel? This single room is equipped with air conditioning and heating systems and a private bathroom. Private parking is possible at a location nearby (reservation is needed) and costs KRW 15000 per day. This double room is equipped with air conditioning and heating systems and a private bathroom. Fitted with bunk beds for 3 guests, this triple room is equipped with air conditioning and heating systems and a private bathroom. The quadruple room features Ondol, Korean traditional floor heating, and comes with two bunks and two Korean futon mats to accommodate up to four guests. The private bathroom includes a shower and free toietries. Fitted with bunk beds for 4 guests, this female dormitory room is equipped with air conditioning and heating systems and a shared bathroom located within the room. Rate is for 1 female guest only. Fitted with bunk beds for 4 guests, this male dormitory room is equipped with air conditioning and heating systems and a shared bathroom located within the room. Rate is for 1 male guest only. This quadruple room features a flat-screen TV and air conditioning. This twin room has a flat-screen TV and air conditioning. Property surroundings – This neighbourhood is a great choice for travellers interested in culture, city walks and sightseeing – Check location Excellent location - show map Guests loved walking around the neighbourhood! House rules Insadong Hostel takes special requests - add in the next step! All further older children or adults are charged KRW 15000 per night for extra beds. Nothing like a chair in the room. I couldn't open a window to get some fresh air in the morning. The beds were not the most comfortable, but it didn't bother me too much. I stayed there for 5 nights. The bed is so small for my family - 2 adults and a 5-year-old children. I stayed there in mid-winter. There is no isolated heater switch in each hotel room. They use central heater for each floor of the building. At mid night, it was really so hot causing us nearly a sleepless night. Beside that the mattress was actually uncomfortable. It locates on the Insadong which is my favorite shopping town. The hostel is also near teashops and many restaurants. The hostel is very near from "Ssam-ji--gil". I like this shopping mall with a variety of creative and traditional handicrafts. Great people, great place!!! Great communicatuon! Good location, room is clean, friendly owner. I liked the nice staff, great location, clean, free wifi, free good breakfast, and the security it provides. The cat is so cute!